European watchdogs have lately tightened their grip on financial institutions and corporates, especially those that continue to fail in their anti-money laundering obligations. Recent years have seen quite an large uptick in regulatory fines. 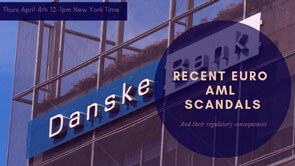 In September 2018 alone, ING paid €775m to settle an investigation into lax AML controls and Danish giant – Danske Bank -may even be facing a whopping €8 billion in fines if found guilty by regulators. But how do you protect your institution from similarly hefty fines? In this NoMoneyLaundering.com webinar, join expert speaker –Maud Bökkerink – as she takes us through the major European AML cases of 2018, their main sticking points, and what your institution can do to avoid the same fate. Current actions being taken in the E.U. to enhance the AML/CFT supervisory framework. Maud Bokkerink has broad and long-time experience in anti-money laundering and combating the financing of terrorism (AML/CFT). For the past 9 years she worked at the Dutch Central bank, DNB, where she was the coordinator for AML/CFT and Sanctions supervision of banks and payment institutions. From 2002 until 2008 she worked for the IMF as an AML/CFT financial sector expert. Before that, she worked in the Dutch Ministry of Finance on AML policy and legislation, the Dutch FIU as a financial analyst and in the National Criminal Investigation Service as a financial investigator on financial fraud and money laundering. She has worked in various regions in the world on AML/CFT technical assistance and FATF mutual evaluations. 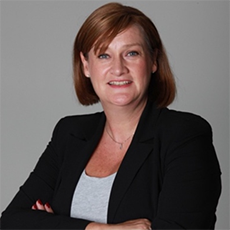 She currently is an independent AML/CFT and Sanctions advisor for her firm Bokkerink Compliance International. In that capacity, she advises and trains financial and non-financial institutions as well as FIUs and supervisory authorities, both in the Netherlands and internationally. She also lectures on AML/CFT at international workshops and conferences, and publishes articles on various AML/CFT related topics. Her earlier experience has been in the international financial sector. Maud Bökkerink received a master’s degree in fiscal law and a master’s degree in Japanese from the University of Leiden in the Netherlands.